Old Dominion Animal Hospital pet appointments are scheduled longer than many hospitals: not 15 – 20 minutes, but a full 30 minute visit is set up so we may have time to address all your pet’s needs and your concerns. We want you and your pet to have the time to feel comfortable so that you can ask any questions you may have and examine your pet thoroughly. We have found over time that pet health benefits from a little more time. 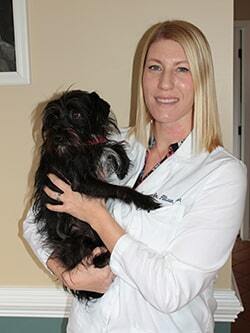 All surgical procedures are by scheduled pet appointments as well. Drop-off services may be arranged as we are pleased to treat your pets during the day while you are busy. Of course, any pet emergency is seen as quickly as possible. 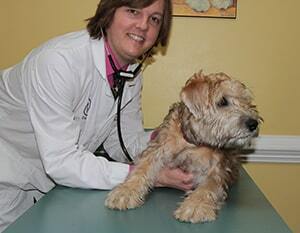 Our veterinarians and staff are available to make house calls by appointment. We realize that sometimes individual circumstances make it difficult to bring your pets to the hospital. We will do our best to meet your needs and make visits to your pets in your home. Old Dominion Animal Hospital has an Open Door Policy. You may visit your pet at any time during our regular hospital hours. While undergoing treatment in our hospital, your pets may enjoy the comfort they receive from your visit. Full payment for our veterinary services must be made at the time our services are rendered. We will gladly advise you on anticipated costs for the care of your pets. We accept payment by Cash, Check, Visa, MasterCard, Discover, American Express, and CareCredit.